Where are there no Jineteros? Let's go there. 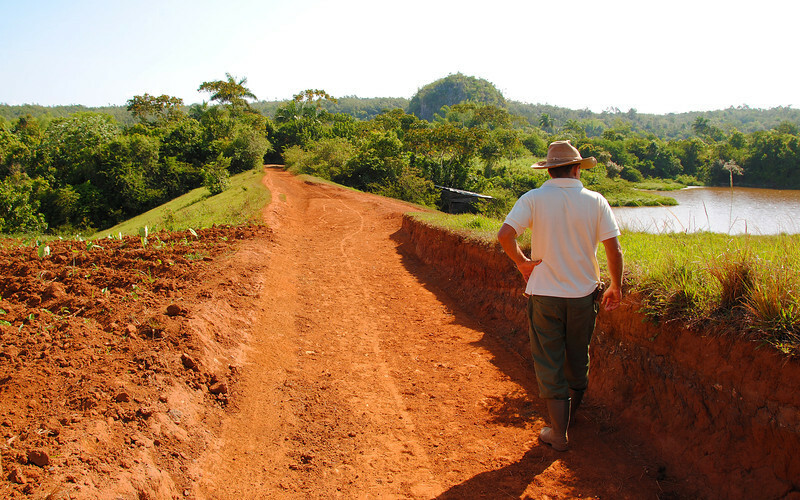 Vinales is in small farming community in the western province of Pinar Del Rio and we're told that there's very little hustling there. 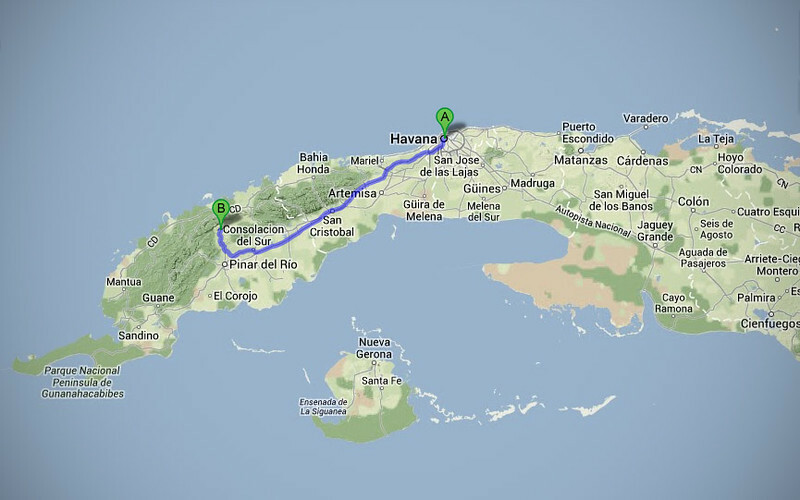 So we jump on our bikes, head to the Autopista and make a beeline to the heart of tobacco country. 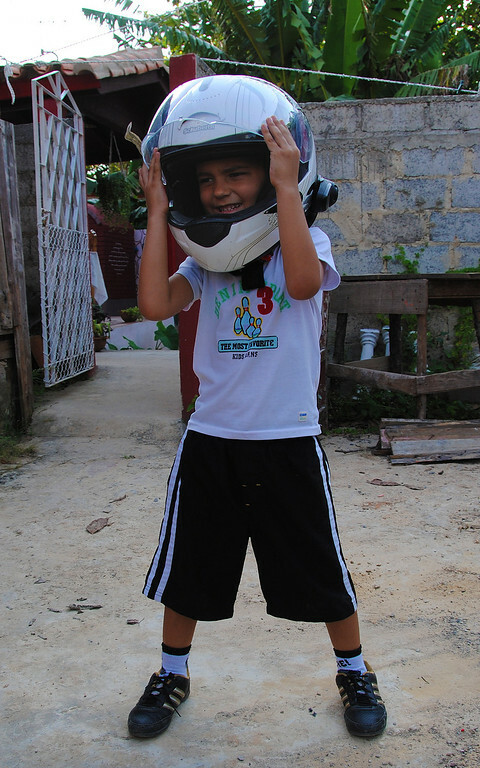 This wasn't a tight fit - the helmet could have done an exorcist swivel on his head! 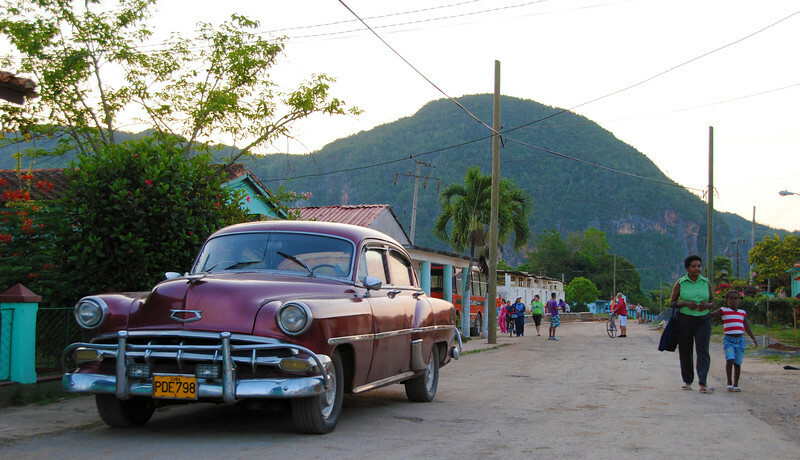 Vinales is quite a sleepy community, in contrast to the busy city of Pinar Del Rio to the south. Lots of people hang out on their porches here in the evening, we felt very comfortable in this bucolic setting, taking strolls up and down the main street every night, unmolested by hustlers. 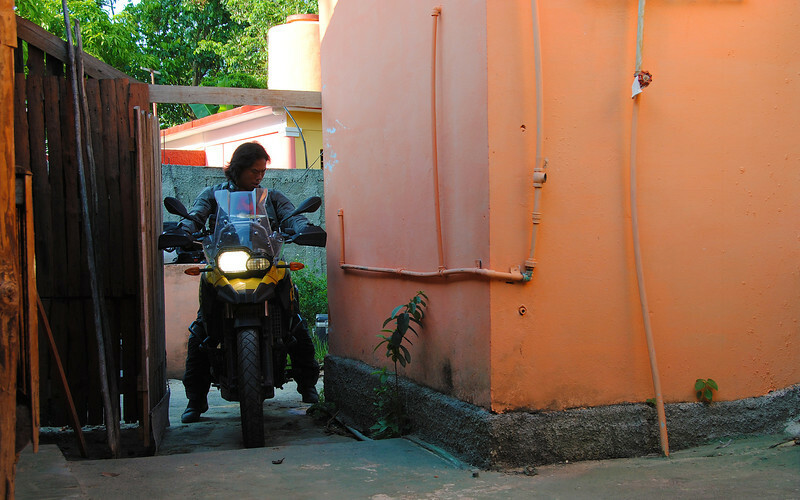 Whenever we travel, I find myself becoming enamoured with the local vehicles. When we were in Baja California, I dreamed of driving around in an old rust-red VW Beetle w/ a dune-buggy kit: exposed chrome engine in the back, big knobby tires, jacked up suspension and loud fog-lights. In Cuba, I think it would the coolest to drive around in a mean black and chrome '56 Chevy Belair! 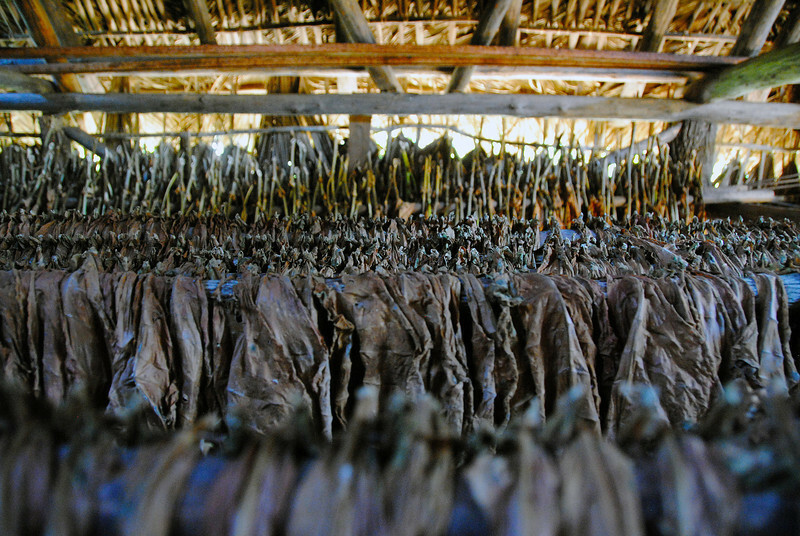 We booked a tour of one of the tobacco farms one morning and the owner, Juan took us around his fields, showing us how tobacco is farmed and harvested. 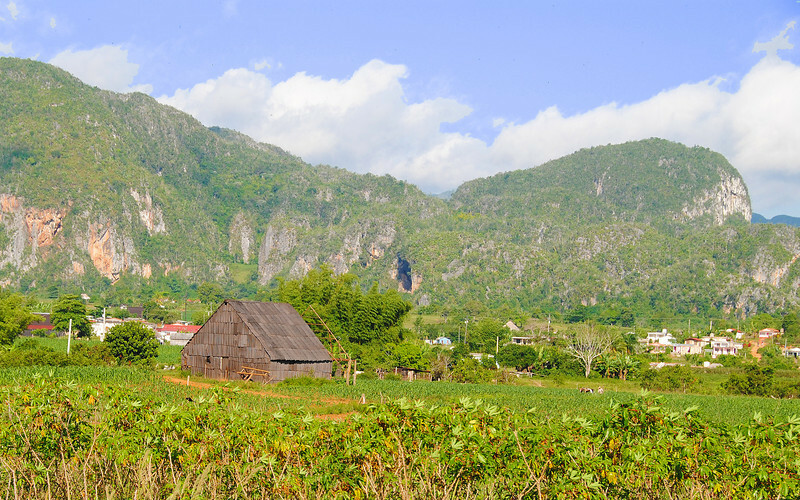 Due to the soil and the microclimate here, the Vinales Valley is one of the best places to grow tobacco and makes the finest cigars in Cuba. The area is surrounded by limestone mountains which have eroded over time, giving them their steep slopes with flat tops. We've seen much artwork depicting these mountains, which are synonymous with the valley. 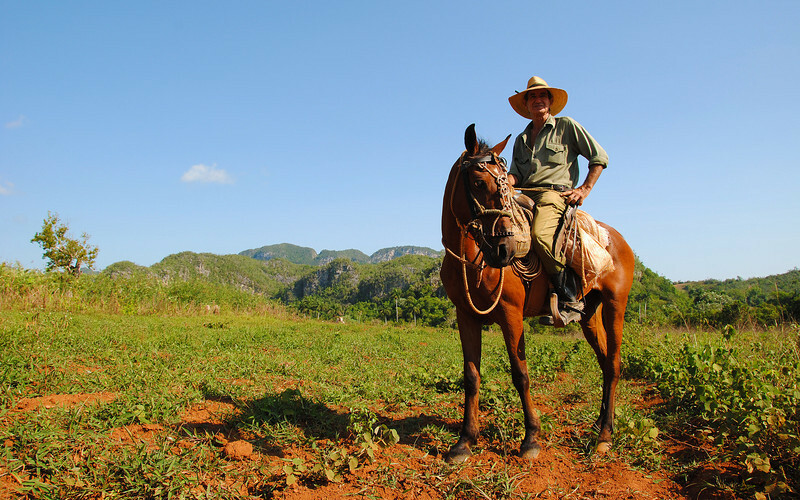 Cuba has a low-input agricultural industry, choosing to use manual labour and ox-driven ploughs instead of costlier gasoline-powered farming equipment - necessary because of their isolation from the outside world. 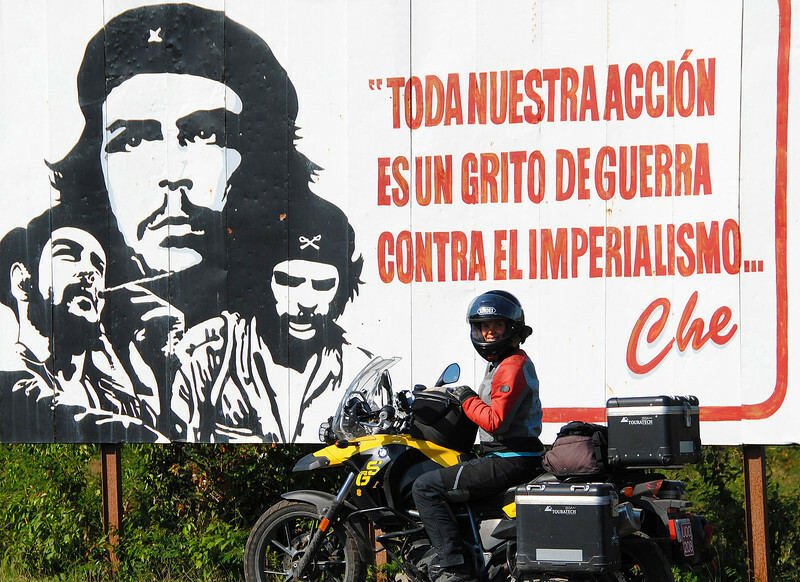 We've seen examples of this all over the country, and we've also seen some artwork that is critical of Fidel's policies for energy-efficiency while ignoring more important issues. We saw a painting of a huge pressure-cooker with a small starving child leaning up against it and later found out that in the 90s, Fidel had given every household these energy-efficient appliances to reduce the usage of inefficient stoves. However, the population had no rice to cook with! And then Juan Valdez shows up and asks if we want to try the richest coffee in the world? 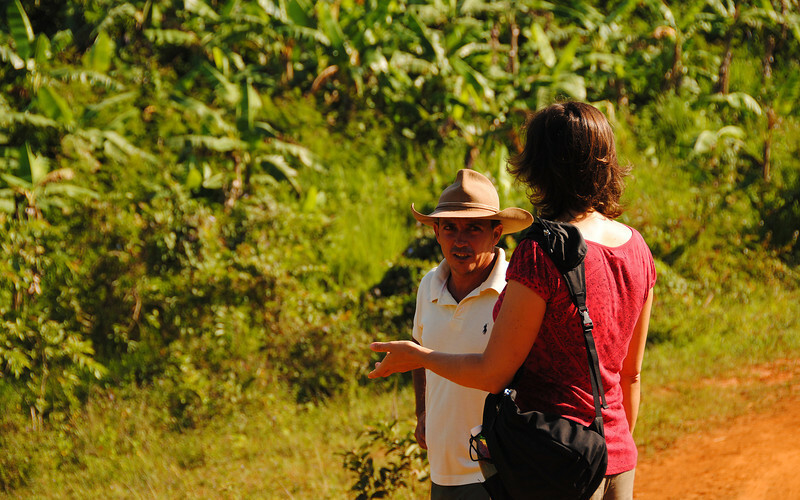 Juan passed us over to another farmer (his name was Juan as well!) who had a drying house set up with leaves soaked in a rum, lime, honey and mint - the exact same ingredients that you use to make a mojito. 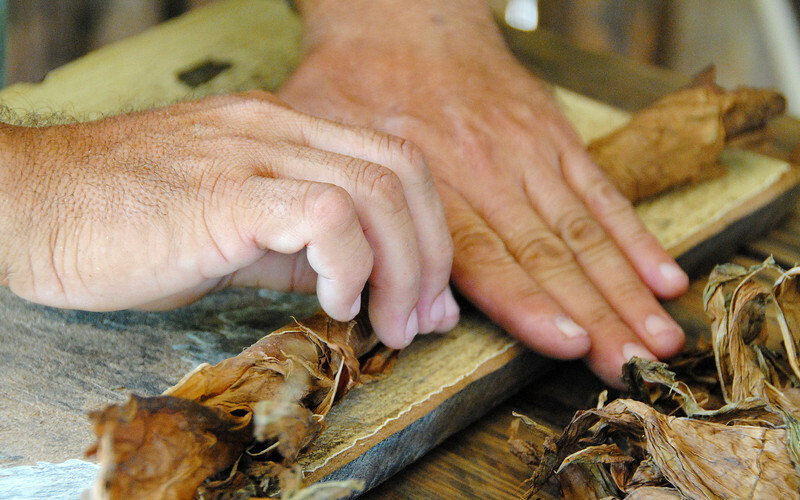 This Juan explained to us the process in how to select leaves for the different types of cigars - the darker leaves are more stronger and are used to make the Montecristos, while the lighter leaves are used to make the milder Romeo y Juliet cigars. 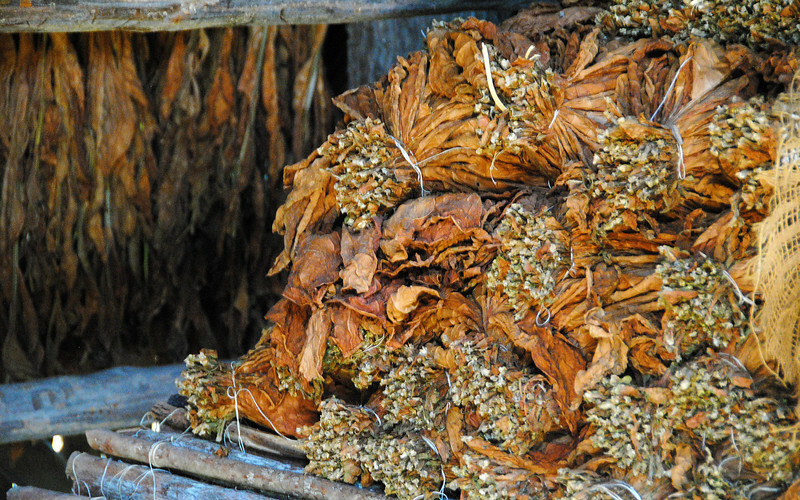 Also the tobacco is concentrated in the spines of the leaves. 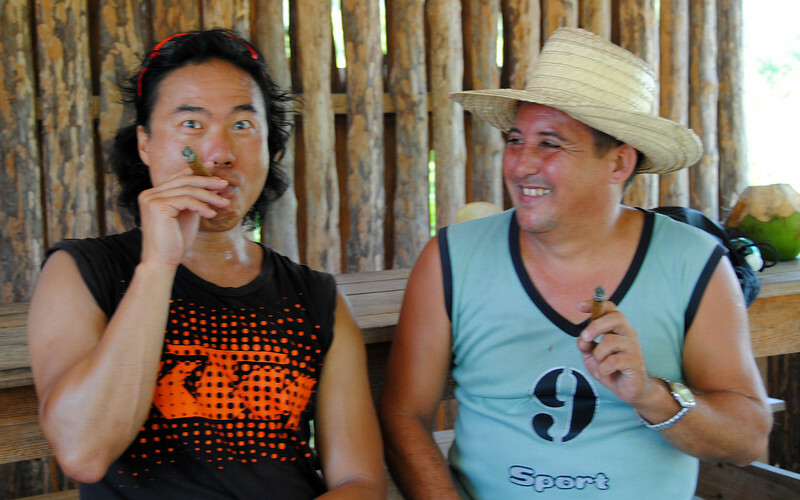 We watched Juan roll a fresh cigar from different types of leaves, sealed it with some honey and offered it to us. 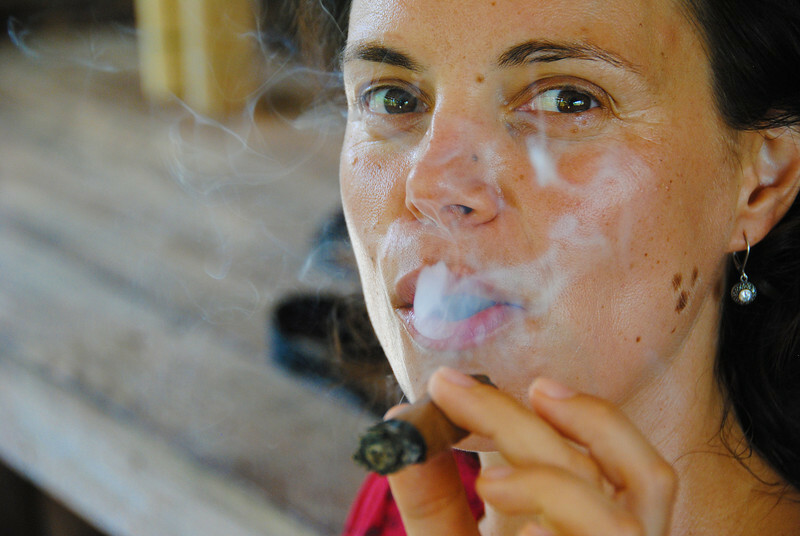 We've never smoked a cigar in our lives, so Juan found it quite funny when I coughed up a lung after deeply inhaling some of the thick cigar smoke. So apparently you have to make like Clinton and not inhale, just puff. One of our blog readers suggested a new nickname: SchwartzeNeda!